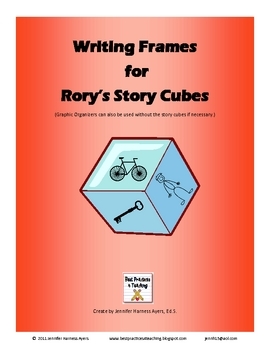 This file includes 10 Graphic Organizers to use with Rory's Story Cubes. Order information for the cubes is included in the download. The graphic organizers are story starters and a story frame that can be used to help with fictional and narrative writing. The open-ended sentences and questions will lead students to create a wonderful story with a beginning, middle, and end with the events put in order. Introduce those 'time' words like first, next, then, and last and writing begins to improve! 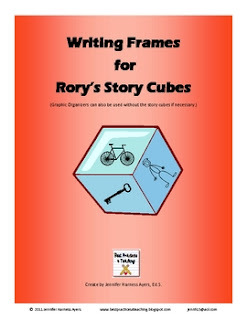 Add in the cubes, and your students will create a delightful, adventurous escapade! Great for writing centers! Be sure to conference to go over writing conventions and help create a strong topic sentence with a great conclusion.